The abandoned 26 ton fishing vessel Cheng Tsai Li was discovered by the Japanese Coast Guard off the Miyako Island. The fishing vessel was found partially burnt along with a significant list as the hull had suffered water ingress. The Coast Guard search the vessel and found no one on board. Rescue boats from Japan and Taiwan started a search for survivors. 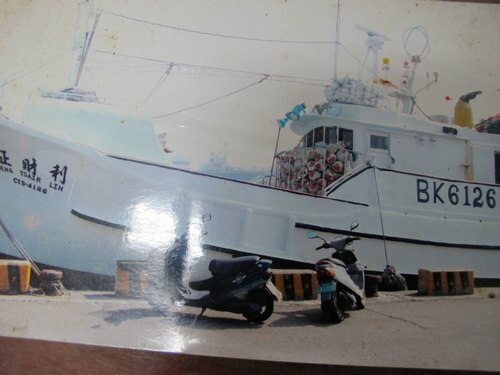 One crewman was later rescued from the sea by another fishing boat. He was taken to hospital suffering from hypothermia and from injuries from shark bites. The other four crewmen are still reported as missing. The cause of the incident was not clear, but the crewman stated the vessel had caught fire forcing the crew to abandoned ship. 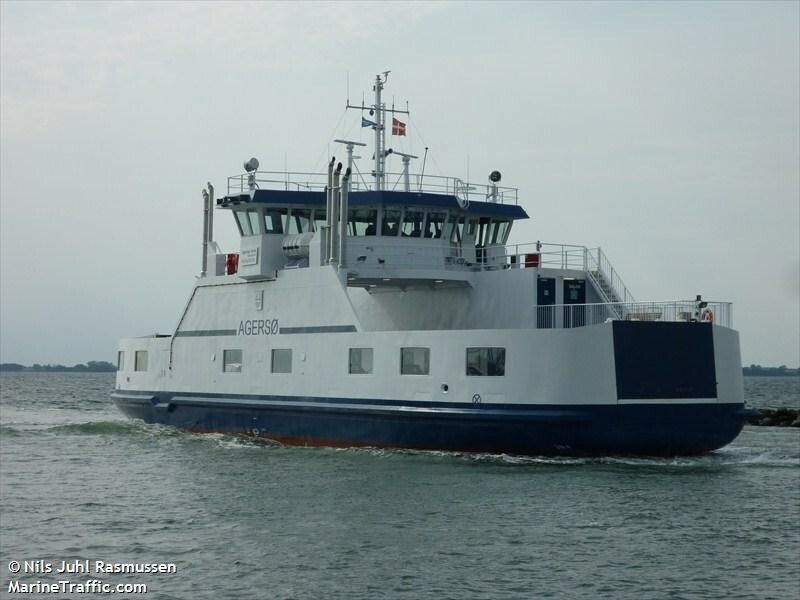 The 38 meter long ro-ro ferry Agersø III allided with the landing at Stigsnæs, Denmark. The impact cause eight passengers to fall with two injured. The ferry suffered on minor damage with only dents and scratches. No reports of pollution being released. Reports state the ferry had one of its bow thruster fail while approaching the quay. The Agersø III typically runs a route between Stigsnæs and Agersø. 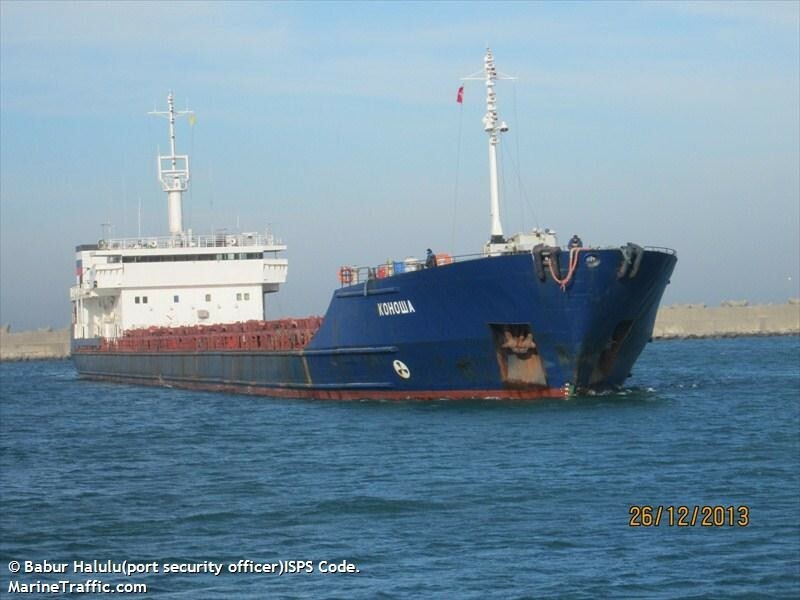 The 140 meter long, 6207 dwt freighter Konosha went aground in the Kerch Strait near Takyl Cape, Ukraine. No injuries, damage or pollution released. Two tugs from the Ukraine were contracted to refloat the vessel. The Konosha was proceeding to Trabzon, Turkey from Eysk, Russia with coal. The cause of the grounding was not reported.